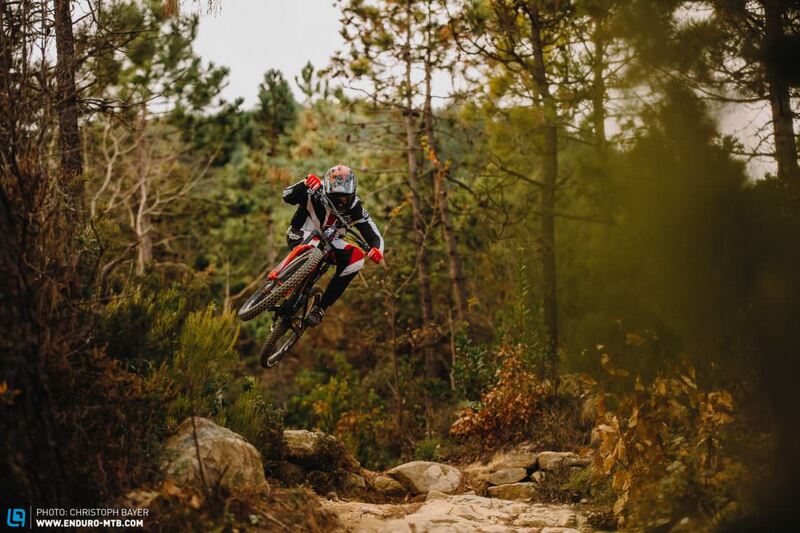 Have you ever asked yourself how Sam Hill can corner so fast? One reason is of course his enormous talent, but we’re sure his bike helps too. The Nukeproof Mega 275C is synonymous with balanced handling, laying down a convincing performance in our group test. 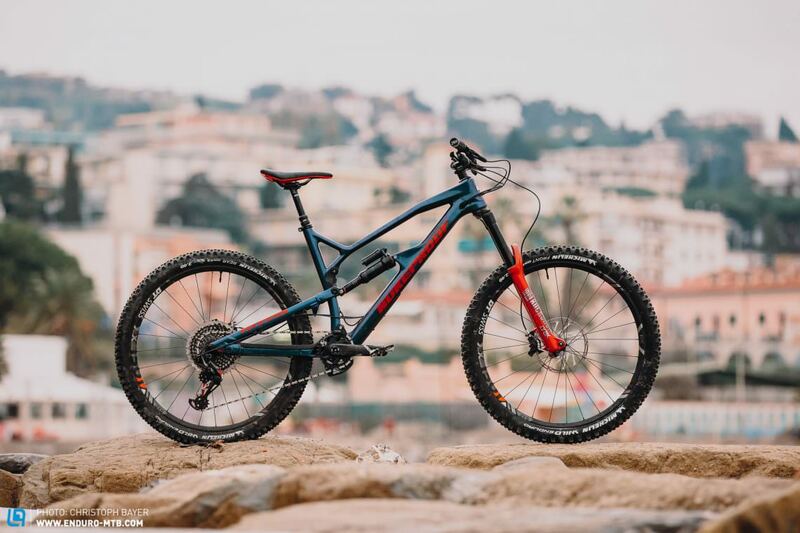 If you look up ‘dominant’ in the dictionary you will certainly find a reference to Sam Hill on the new Nukeproof Mega 275C RS. The big “World Series Champion” logo on the top tube immediately catches your eye as you get on the bike. 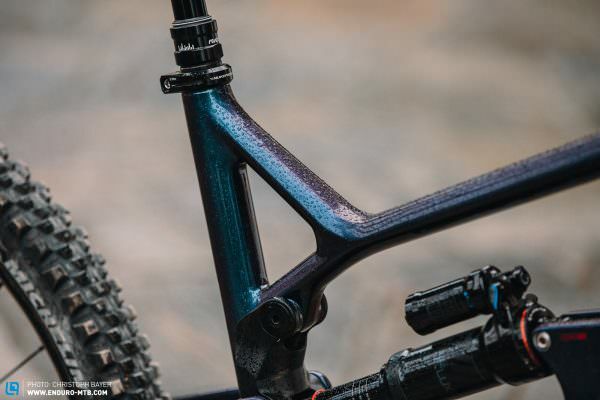 As your eye wanders you’ll quickly notice the beautiful finish of the bike’s paint job, before moving on to the components. 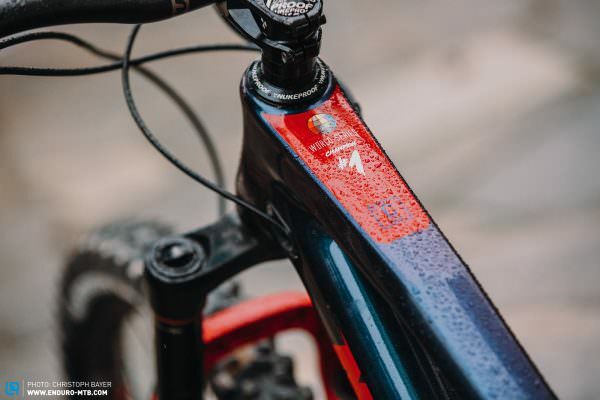 You’ll then see the red RockShox Lyrik RC2 offering a full 170 mm of travel at the front, combined with a Super Deluxe shock at the rear. 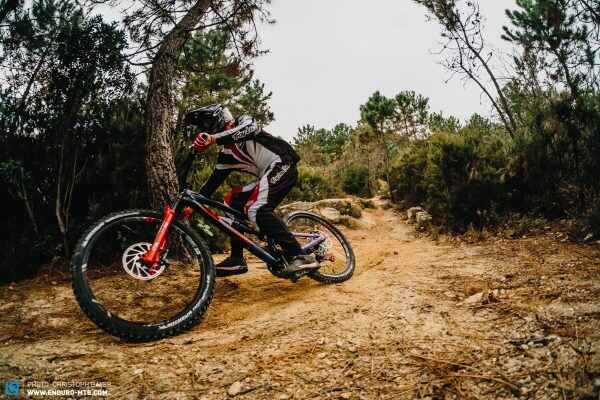 Shifting is taken care of by a SRAM X01 drivetrain, and Michelin Wild Enduro tires provide all the grip you could need. The tires are fitted to colour-matched and reliable DT Swiss EX 1501 SPLINE ONE wheels. 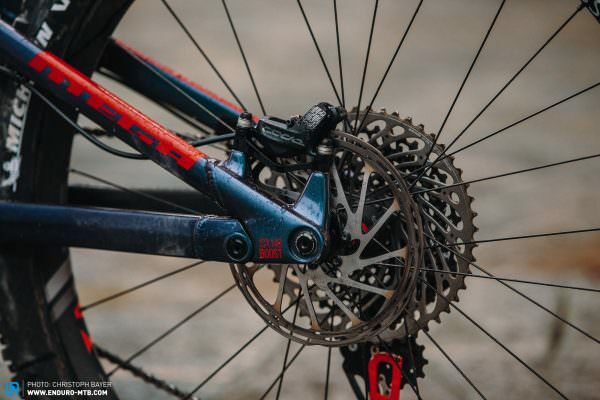 Our only small criticism of the components on the Mega is the entry-level SRAM CODE R brakes. They can’t quite keep up with the higher quality CODE RSC model we would have preferred to see. Finally, unfortunately, due to the shock in the front triangle, the only place you’ll be able to fit a water bottle is under the down tube. Nukeproof proudly emblazon the number 1 on the top tube. 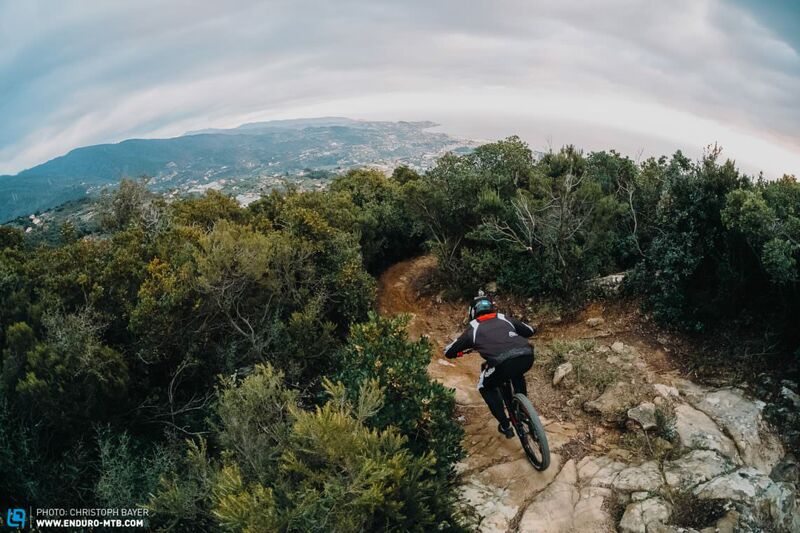 Once you get on the bike, you too can feel like Sam Hill. Unlike in our 2018 group test, the new generation Super Deluxe feels sensitive and plush. The pearlescent paint job of the Mega shimmers with different colour tones depending on the angle from which the light hits it. There is nothing fundamentally wrong with SRAM CODE R brakes and they offer enough braking power. However, the RSC brakes with Swinglink technology, is easier to modulate and we’d prefer to see them fitted here. The riding position on the Mega 275C when climbing is central, upright and comfortable. The rear suspension doesn’t suffer much from pedal-bob and so reaching for the climb switch is only worthwhile on long climbs up smooth roads. As undramatically as it climbs, so it performs on the descents – and we mean that in the most positive sense! The Mega 275C is synonymous with balanced handling, performing brilliantly in every situation. This is in part due to the somewhat longer 435 mm chainstays (on a 27.5 “bike). 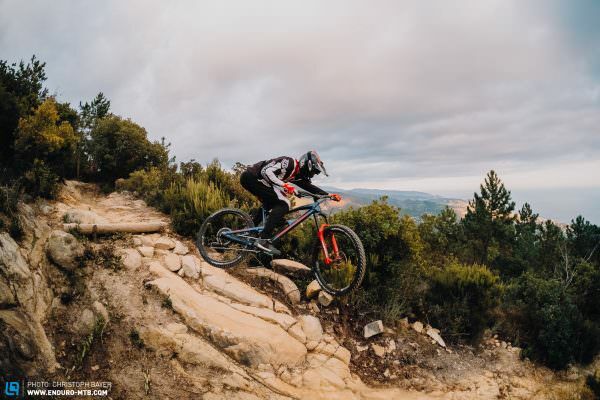 In corners, that means you have enough weight on both wheels without needing to move around too much on the bike, allowing you to focus completely on the trail. 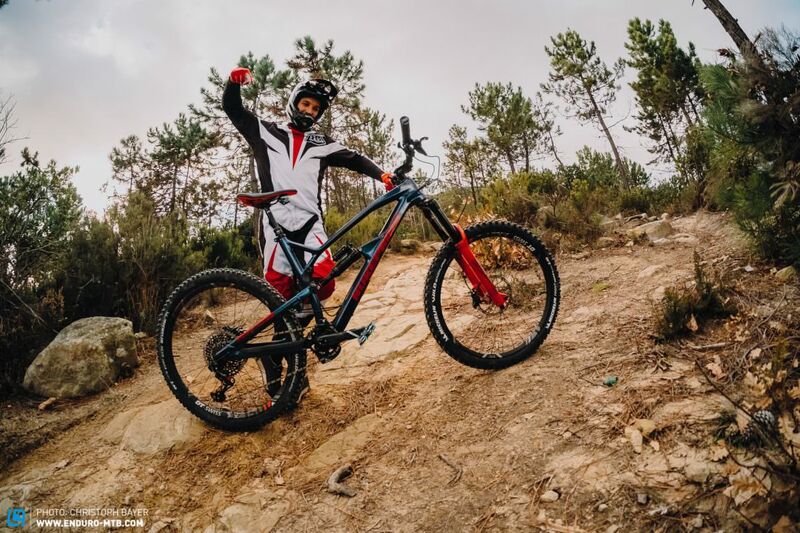 Compared to the bike we rode in our 2018 group test in Finale Ligure, the rear suspension of the 2019 Mega performs a lot better and reacts more sensitively to small impacts. The shock is still a Super Deluxe, but this one is a newer generation, providing the Mega 275C with significantly more traction, all while feeling more composed in rough terrain. The Mega 275C allows the rider to go very fast without expending too much energy. At the same time, the bike is very agile, responding to direction changes with precision. 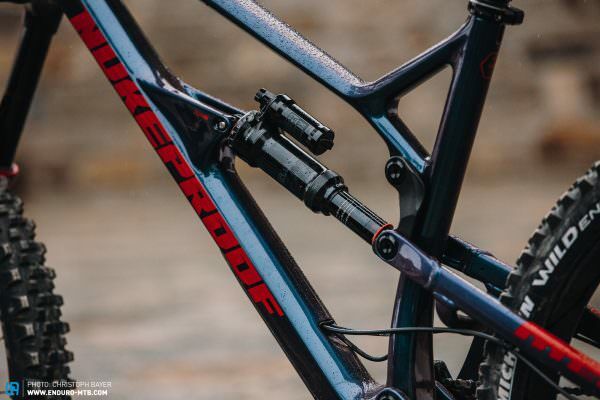 The 170 mm RockShox Reverb dropper post guarantees maximum freedom of movement, increasing rider confidence in steep terrain even more. Full-throttle Sam Hill style drifts are surprisingly controllable on the Mega 275C! The Nukeproof Mega 275C RS shines in any terrain thanks to its balanced handling, excellent suspension and sophisticated features. 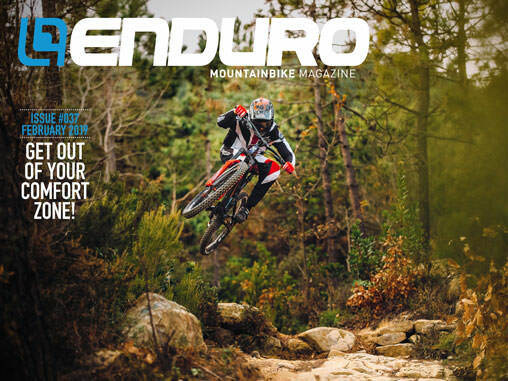 It rides predictably and delivers EWS performance for everyone. With a reasonable price and great finish, this bike deserves our Best Value Tip!